We’ve got Mother’s Day coming up this weekend, and two celebrations of women in music – the rockin’ Girls Got Rhythm Fest, and Women in Jazz. 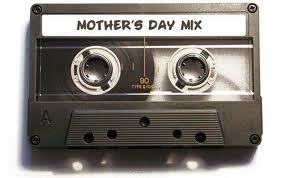 Whether your Mom is a rocker, a balladeer, an improviser, or all of those things at once, honor her. Lots of other good music as well. Have a good week! Todd Clouser & Park Evans @ Cafe Maude, Minnepolis. 7pm (no cover) Two exciting guitarists get together. Expect some single note runs and imaginative solos with Hendrix-ian asides. Good Vibes Trio @ Jazz Central, Minneapolis. 8:30 pm (donation) Wednesday night at Jazz Central often features searching, experimental groups. Bassist Chris Bates, drummer Phil Hey, and vibist Dave Hagedorn are the Good Vibes Trio. They’ve been preparing a recording for release. You can expect original tunes as well as re-imagined standards. Here they are doing Jump Monk. Raynor, Aaron, & Epstein @ The Icehouse, Minnapolis. 6pm – 9pm (No cover) Veterans all, Gary Raynor, bass; Phil Aaron, piano; and Jay Epstein, drums; each have a predilection for getting inside a melody, as well as taste and chops. Vicky Mountain @ Parma 8200, Bloomington. 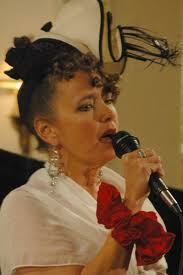 7:30pm – 10:30pm (No cover) Vicky will be joined by Chris Lomheim, piano and Brian Courage, bass. Classic jazz singing in a relaxed atmosphere. Robyn’s singing is even more wonderful than her hats. Robb Henry Trio w/Robyn Pluer @ Shanghai Bistro, Stillwater (Friday) and Loring Pasta Bar (6-9pm Saturday) Guitarist Robb Henry no longer plays rock n’ roll, but hasn’t forgotten the Beatles and other melodic rockers of the 60s and 70s. These days he plays jazz standards, Django Rheinhardt songs, Mancini, and more. He’ll be joined by vocalist Robyn Pluer, the thrush who sang with the R&B Cadets and Paul Cebar’s Milwaukeeans so many years ago. Jerry Weldon Quartet @ The Artists’ Quarter, Saint Paul. 9pm ($20) Saxophinist Weldon toured the world with the Lionel Hampton Orchestra, then toured and recorded with Jack McDuff and his Heatin’ System, before joining Harry Connick Jr.’s big band. He swings and then some. Here’s a video of him with an organ trio. Zacc Harris Group Tribute to Wes Montgomery @ Studio Z, Saint Paul. 7pm ($10) Guitarist Harris will present a free workshop on Wes Montgomery at 5pm, followed by a performance at 7pm with Bryan Nichols, piano; Brandon Wozniak, sax; Jeremy Boettcher, bazz; and JT Bates, drums. Those who attend the workshop get a discount for the performance. Nathan Hanson’s Birthday Jam @ The Blackdog Coffee & Wine Bar, Saint Paul. 7:30 – 10:30. It’s a big one for the saxophonist, and he’s throwing a party with all the delights of the ‘Dog has to offer. He’s got some awesome friends coming by to help celebrate, including Brian Roessler, bass; Pete Hennig, drums, banjo; Erik Fratzke, guitar, bass; Peter Leggett, drums; Marc Anderson and Davu Seru; percussion; and George Cartwright, sax. As an added attraction there will be an art performance by Ta-Coumba Aiken and Lara Hanson. Laura Caviani: From Bach to Bop @ Hopkins Center for the Arts, Hopkins. 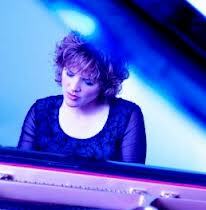 8pm ($24) Before she became a stellar jazz pianist Laura Caviani was classically trained. She has taken a number of classical pieces and arranged them for a jazz ensemble that includes Dave Hagedorn, vibes; Adam Meckler, trumpet & fluegelhorn; Dave Milne, sax; Chris Bates, bass; and Phil Hey, drums. Included are works by Schumann, Chopin, Bach, Stravinsky and a couple of others. Should be a rewarding evening, full of surprises. 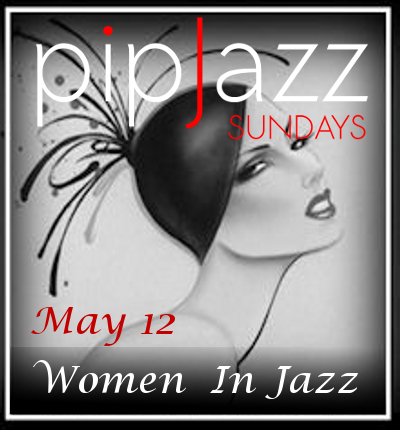 PipJazz Celebrates Women in Jazz @ The Landmark Center, Saint Paul. 4pm. ($20, $5/Students) This kind of celebration is a natural for Pippi Ardennia, the warm, inviting singer who produces a monthly show at the Landmark. Today, she is bringing some of the finest female artists in the Twin Cities to the stage, including Patty Peterson, Debbie Duncan, and 13-year old Emily Albert-Stauning on vocals, Mary Louise Knutson, piano; Joan Griffith, bass; Sheila Earley, drums; Kari Musi, sax; and Zosha Warpeha, the high school senior who has been a regular part of the PipJazz band for the last year, on violin. Sounds like a wonderful way to celebrate Mother’s Day. Fourplay @ The Dakota, Minneapolis. 7pm ($45), 9pm ($35) Billed as a supergroup when they first got together in 1990, Bob James, keys; Nathan East, bass; vocals; Harvey Mason, drums; and Lee Ritenour guitar, went platinum with their first album and gold with the next two. They continue to churn out head bobbin’ pop jazz albums with regularity, and with Chuck Loeb now in the guitarists’ seat, show no signs of letting up. Jimmi & the Band of Souls @ the 331 Club, Minneapolis. 7pm – 9pm. (Tip jar) Tune in to KFAI (90.3 & 106.7) at 5pm to hear Jimmi & the guys live, then head over to the 331 Club to hear their blues, soul, and R&B. Bernie King & the Guilty Pleasures @ The Black Dog Coffee & Wine Bar, Saint Paul. 8pm (tip jar) Americana, that is rootsy country, blues, and rock n’ roll from a band that includes Bernie King, guitar & vocals; John Kurtis, lead guitar, mandolin, & vocals; Julie King, washboard & percussion and Matt Smith, bass. Paul Cebar @ Wilebski’s, Saint Paul. 6pm ($10) Paul’s been at the New Orleans Jazz Festival, no doubt getting more inspiration for songs. In actuality, he’s been able to write memorable, danceable songs for years now, with the result that he often brings out hundreds of followers. The commodious dance floor at Wilebski’s is just right for an early evening of shakin’ it to Paul and his cohorts. Funk Night @ Harriet Brewing Tap Room, Minneapolis. 7:30pm (No cover) A couple of newer bands that delve into funky stuff. Nature of Waves is a quartet of Twin Citizen veteran musicians from backgrounds as diverse as Johnny Holm and Cloud Cult. The Premiums continue at 9:30. The quartet moved to the Twin Cities from Wisconsin in 2011 and have been delivering deep funk, with spacey, dub-inflected echoes. Cherie Currie. Women with chainsaws rock! Girls Got Rhythm Fest @ The Amsterdam Bar & Hall, Saint Paul. 8pm doors Friday, 7pm doors Saturday. ($20/day or $35 weekend pass) Downtown Saint Paul will be rockin’ with the sounds of female-driven raucous rock n’ roll, be it power pop, punk, or beyond a label. Headliners are The Avengers on Friday, and Cherrie Currie, an original member of the famed Runaways, on Saturday. Al Haug Memorial @ Eagles Club #34, Minneapolis. 2pm. (Free) Haug was a well-loved West Bank community activist, former KFAI Radio Host, musician, and jug band aficionado who also booked the Coffeehouse Extempore and the New Riverside Cafe for over 20 years. His dry sense of humor, and lifetime of building community on the West Band will be celebrated by a plethora of musicians and friends, including Pop Wagner, Cooker John, Phil Heywood, Willie Murphy, Dakota Dave Hull, the Awkward Sorrows, Spider John Koerner, and Al’s band – the Fat Chance Jug Band. Bring some tissues as stories are told and songs are sung. Taylor Robert CD Release Party @ Hell’s Kitchen, Minneapolis. 7pm. (No Cover) Taylor Robert has changed his stage name from Tayor Baggott. He’s also changed his approach a bit, returning to the highly soulful, positive, and somewhat funky music that brought him attention. He’s got a new EP with memorable melodies and a danceable, yet soulful “single” called The Sound of Your Voice. Speaking of which, listen to it. The Pines @ The Dakota, Minneapolis. 8pm ($25) With highly positive reviews from the likes of Rolling Stone, AllMusic, CBS, and Vintage Guitar magazine, the Pines are rising stars in the folk/country/blues/roots firmament. 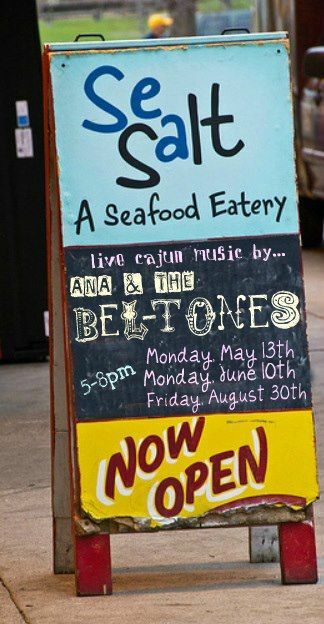 Ana & The Beltones @ Sea Salt Eatery, Minneapolis. 5pm – 8pm (Free) Here’s a way to ease the shock of starting a work week. After work, weather permitting, head over to Minnehaha Falls Park, order some food & drink, and take an outside table to hear the sprightly Cajun music of Ana on accordion and the rest of her group. Still mischievous after all these years. 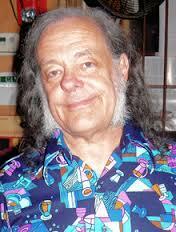 David Lindley @ The Cedar Cultural Center, Minneapolis. 7:20pm ($20 advance/$25 at door) Even in an industry that often celebrates eccentrics, the word zany keeps popping up in discussions of Lindley, along with string wizardry and various ways of saying global music explorer. He’s been making music for decades, and first came to the public’s attention as a sideman on Jackson Browne’s For Everyman album, and since has recorded with scores of artists, including Warren Zevon, Ry Cooder, and Bob Dylan. Tom Feldmann will play country blues and gospel to open. The Cedar has videos here.